I haven’t done a life update post in a while, I’m not sure where the time goes! So as I filled you in the other week, I found out the big news that I’m going to become a mummy in August/September. After feeling quite shellshocked for a while, my first scan really helped me to get my head around it all, and since then I’ve been more and more excited about what’s coming. 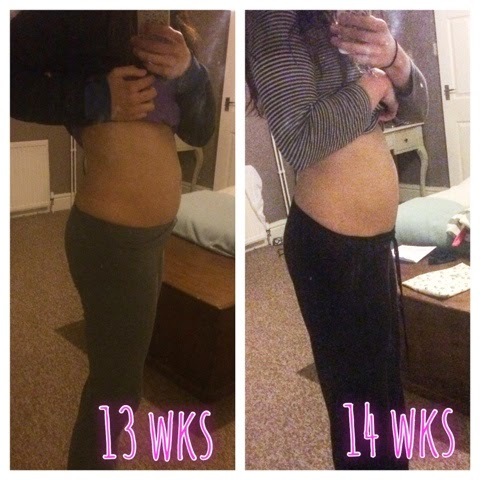 Sometimes random thoughts still set me reeling – like the thought that I’ll have a 3 month old this Christmas! At 16 weeks, the baby is now the size of an avocado (according to this app called Glow I’ve been using to track my pregnancy) and I finally have a small but definitely pronounced bump. When we first found out I was expecting, the baby was apparently the size of an olive, so we’ve taken to referring to it as ‘Olive’ since then. So far, I’ve been lucky to feel very well apart from some tiredness - a 7.30 or 8pm bedtime is now not uncommon for me! But I haven’t been ill at all, and apart from wanting lots of tomatoes and orange juice, nothing has really changed so far. Seb has been amazing and taking fantastic care of me. 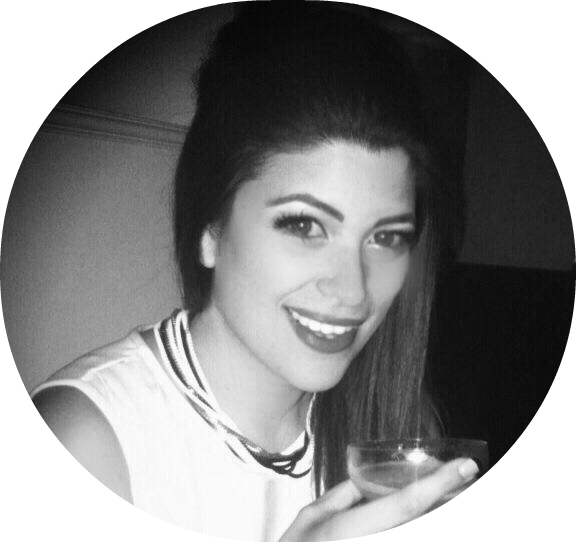 Inspired by a blogger called Georgina, who runs a beauty blog and a separate mummy blog, I’ve also set up www.seriouslymummy.co.uk to record everything baby related. This blog will continue to be FBL based, with a little bit of cross over. If you’re interested in mummy blogs, do check out Georgina over at www.mummy-pixie.com –she’s been a lifesaver for me! 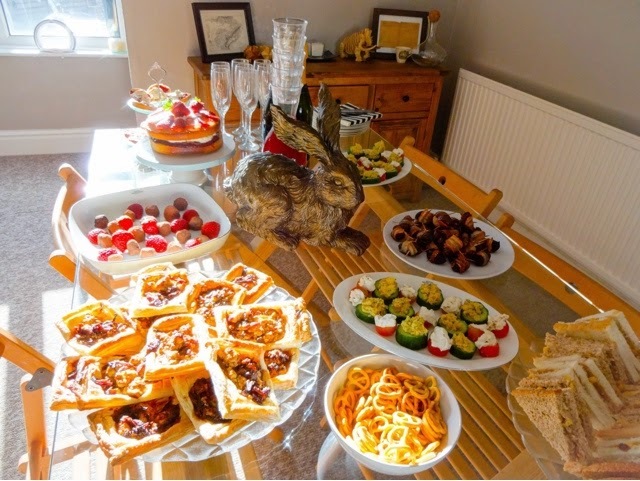 We held an afternoon tea at the new house to tell our family they are about to get a new little relative and also to thank them for their help and support during the house move late last year. People helped us shift boxes, wash glassware, drive vans and provided us with heaven-sent casseroles so we didn’t have to live off takeaways all the time, not to mention counselling us through the year of angst and upset prior to the move, so they deserved a proper thank you. I really enjoyed cooking all the stuff and I think I want to do more teas in the future. 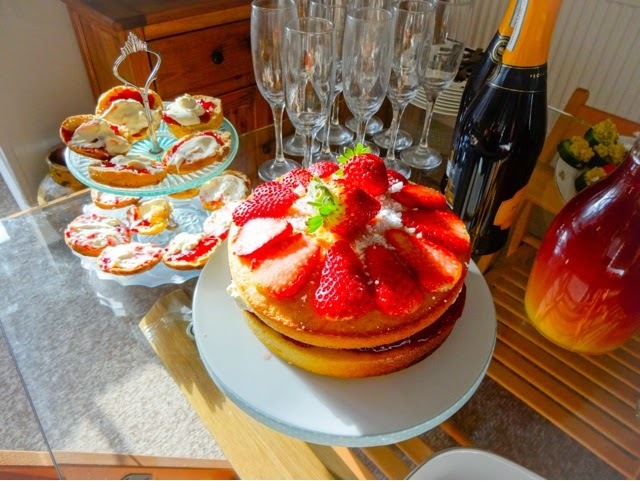 We made a tonne of little sandwiches, caramelised red onion and feta tarts, hors d’oevres, dark chocolate truffles, and a big Victoria sponge with fresh strawberries. 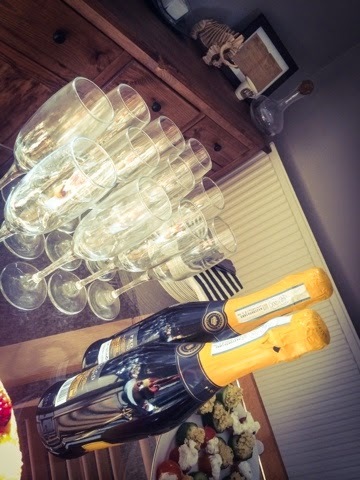 It was so lovely to get everyone together and to test out how parties work in the new house. Their reactions when we told them our news were priceless. My lovely sister in law Kirsty was crying and hugging us and my Dad was fit to burst at the news he’s going to be a Grandad (he’s wanted to hear that ever since we got married nearly four years ago!) It was a special day and a really nice way to tell everyone. 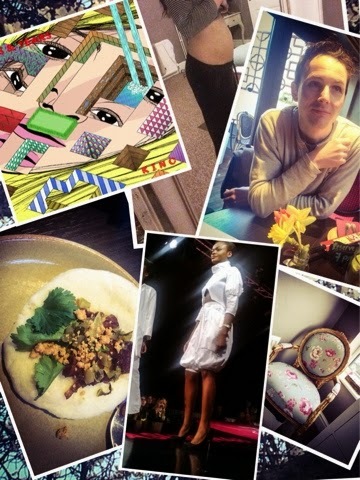 We’ve pretty much finished redecorating our bedroom for now, so I thought I’d share a few snaps. 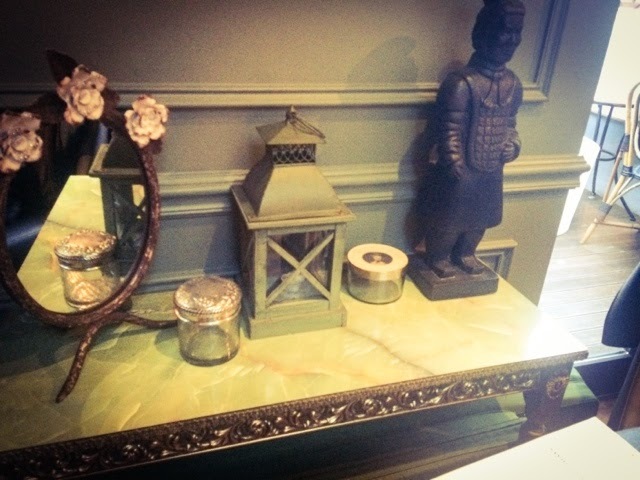 The biggest change has to be the colour of the walls! The shade is a colour called ‘Driftwood’. It’s a lot darker than I thought it would be – although the room is of a size that can take it – and I’m sort of still deciding whether or not I like it! 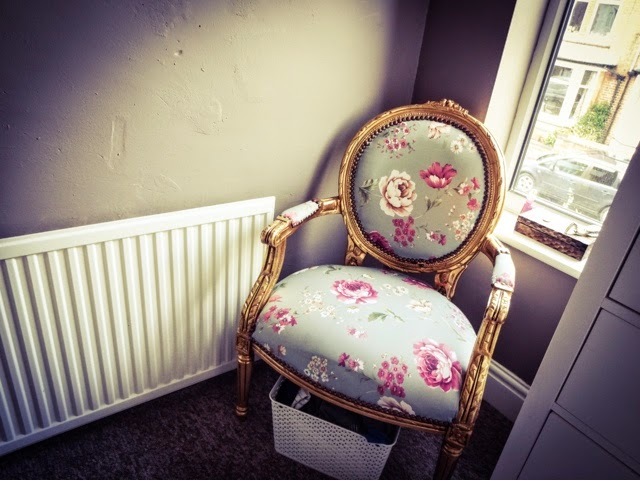 I think it contrasts nicely with the cream furniture we have but I’m not sure on the mauve tint to it and I’d prefer it to be more grey. Its one of those colours that looks really different in different lights. 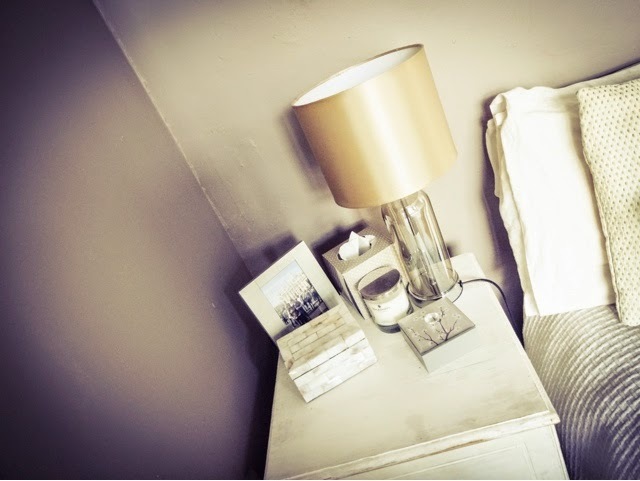 We got a couple of decorative bits too – the cut-work brass lightshade and on the bedside table, this clear glass lamp that I just love. 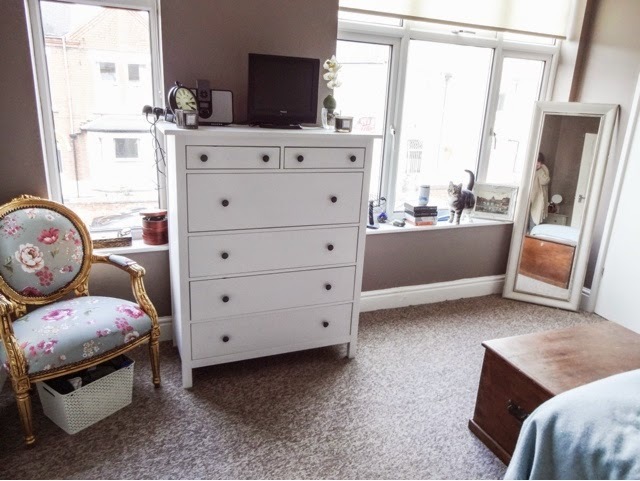 There’s still a lot more I want to do to the room in future – we need a new bedstead, and I’d like to replace the bedside table and add beading to the internal doors to the closet and ensuite. I think its going to take us even longer now with a baby on the way! So not having been able to drink and also wanting to be in bed by 8pm has pretty much killed off any social life at the moment for me, unless its based around eating. That I can get on board with. 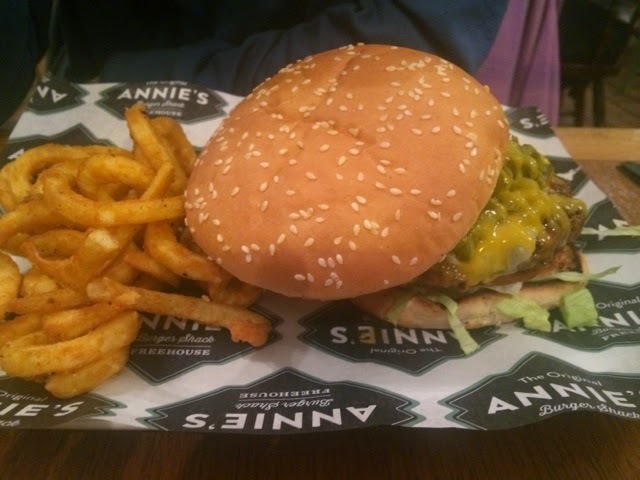 Seb and I went back to Annie’s Freehouse for a dirty burger date night. I’ve mentioned Annie’s before, and it’s a bit of a Nottingham legend now. They just make genuinely amazing gourmet burgers. 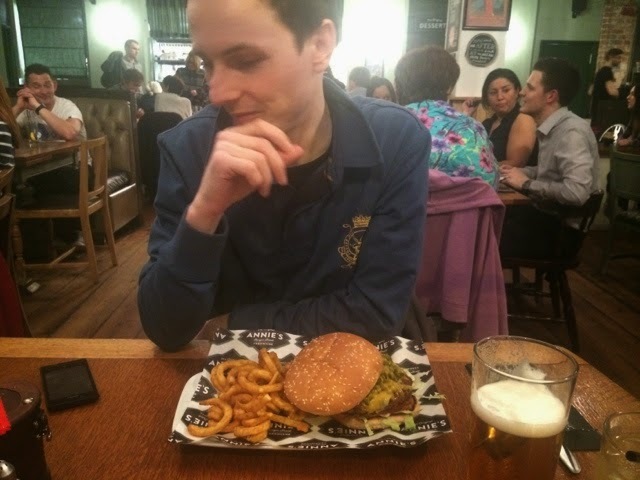 Seb opted for the ‘Lemmy burger’, which comes with a Jack Daniels sauce and is apparently approved by the man himself. Anything too spicy isn’t working for me right now though, and as that was smothered in jalapenos (which I normally adore), I had to order something plainer. I went with the breakfast burger, which came topped with bacon, mushrooms and a fried egg. It was great, but it doesn’t top the Vermonter (bacon and maple syrup) or the Elvis (raspberry jam and peanut butter). I think the addition of a hash brown might have swayed the vote! It was just really nice to spend some time together out of the house, doing something fun. Seb then went off to meet some of his work friends for a drink, but I’m afraid it was definitely bedtime for me! Then a couple of weekends ago, we had our friends Kati and Rich over for dinner. I can’t believe we’ve been in the new house four months and most of our friends still haven’t seen it! 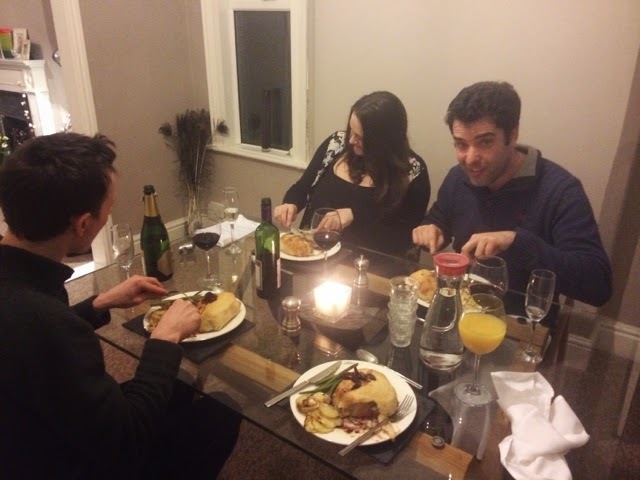 We made quite a traditional menu – scallops with chorizo to start (I couldn’t have the chorizo myself), beef Wellington with green beans and dauphinouse potatoes and Nigella’s molten chocolate baby cakes for pudding! It was a bit odd not having a glass of wine with dinner – it’s the first time I’ve missed not being able to drink so far. 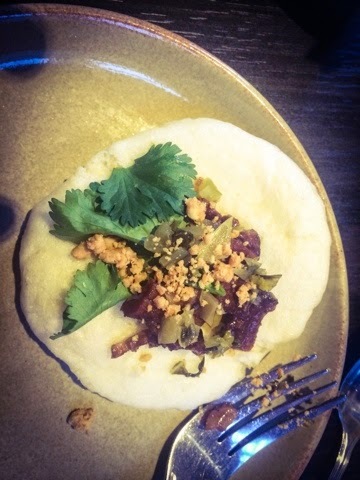 This weekend, Seb and I went out again, to a local place called Yumacha. They do ‘oriental tapas’, which might sound a bit odd but works extremely well. 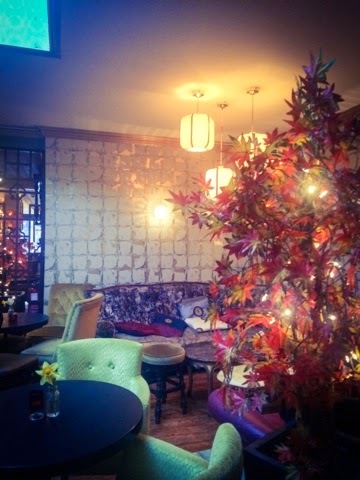 It’s a beautiful restaurant and the food was divine. 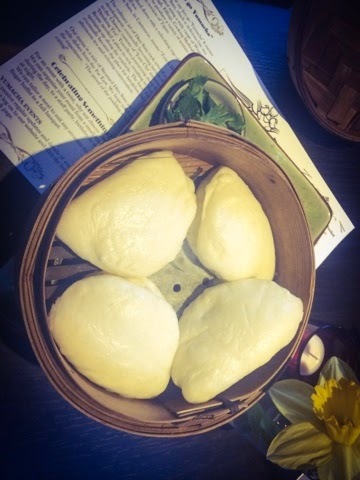 We had lots of dim sum, char sui buns and Vietnamese Gua Bao which were little fluffy pockets loaded with meat and pickles. 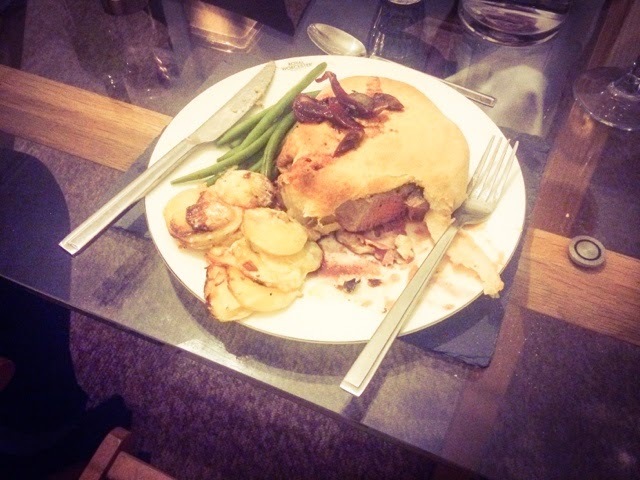 Everything was absolutely delicious and the atmosphere was lovely and relaxed – I would definitely go again. It would be perfect with a big group of friends as there was so much on the menu to try. We're going out quite a bit at the moment as its important to enjoy our time together - it will be harder to do things like that when the baby arrives! 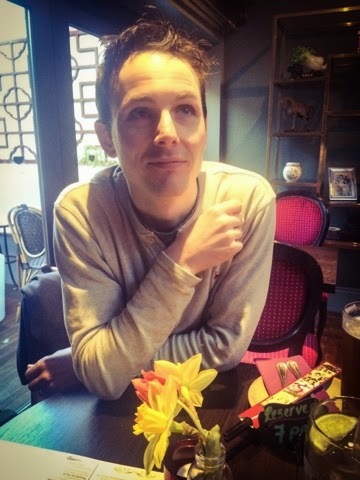 I’ve also been loving a relaxed weekend breakfast at the moment. 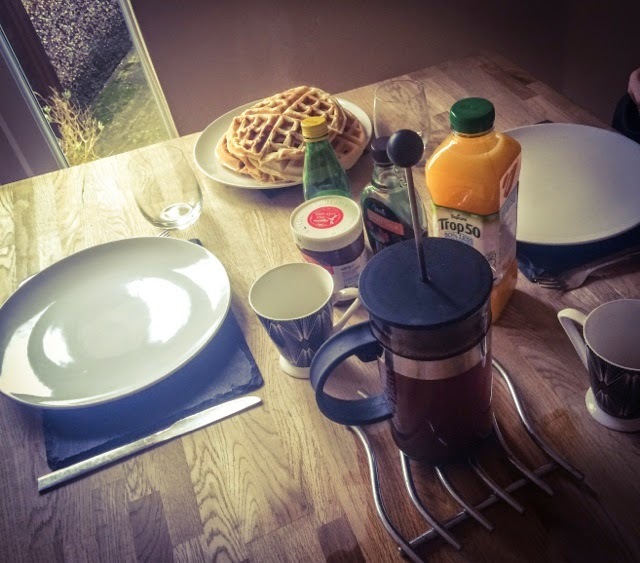 I’ve gotten really into making waffles, with nice freshly ground coffee and orange juice – really making breakfast special. Its my favourite meal of the day and I love talking about plans for the weekend in the mornings over something delicious. We’ve started to pick up a few bits and pieces, but we haven’t gone too mad – its quite hard until you know if it’s a boy or a girl as there’s not much cute unisex stuff unless you want all white everything. But a couple of impulse buys are almost unavoidable really. 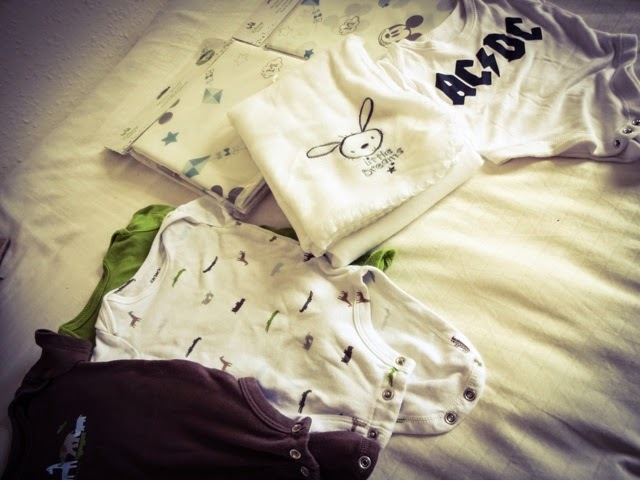 I picked up this really cute lightweight changing mat and messy play sheet with vintage Mickey Mouse print, and Seb couldn’t resist this AC/DC baby grow – the kid is going to be a rocker whether they like it or not at this rate! Then I also found this really sweet little fleece blanket and we picked up a couple more animal themed baby vests that will hopefully suit a baby boy or a baby girl. I’ve been looking at prams too but there’s so much to think about! We’ve started thinking about nursery decoration ideas as well - info on all of this will be posted on www.seriouslymummy.co.uk. 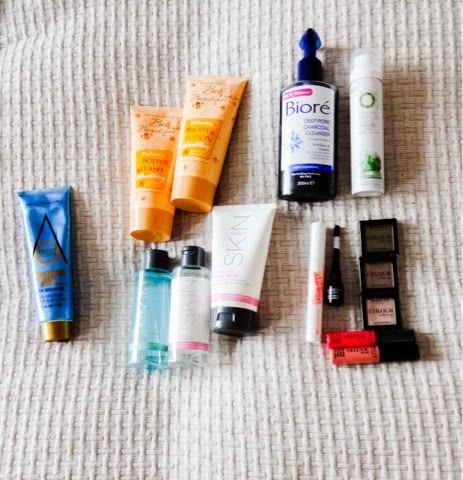 Due to the amount of house/baby stuff I need to buy, I’m on a bit of reduced spend for beauty bits this month, so I think you’ll be seeing more in the way of my ‘Stealing Beauty’ series, where I talk about great bargain finds. Well, I’ve got some amazing bits lately that are all waiting for some coverage. 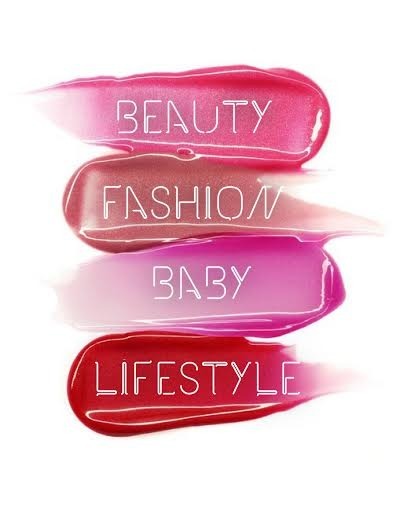 Eyeshadows, lipglosses and liner from Makeup Gallery, Bee Beautiful honey wash and lotion, a new dry shampoo, a lash base that will triple your flutter power for pennies and a £1 argan oil hair mask – interested? I hope you lot like a bargain as much as I do! I did splash out on one thing this month though, and treated myself to the most gorgeous set of face brushes I’ve ever seen in my life….I’ll be posting about them this week! 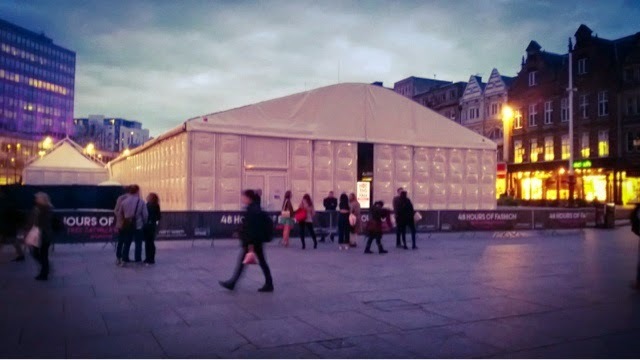 One time I did manage to stay up past 7.30 was for the launch of #FASHION48 which is Nottingham's annual celebration of all the great shops and independent boutiques we have - there's the highest number of independent shops outside of London here. Its a weekend of fun, catwalk shows, demonstrations and masterclasses designed to celebrate shopping - not something I need much help with! At the launch we were treated to fizz (or OJ in my case), canapes and a lovely bag from The Exchange, and then treated to two stunning catwalk shows. 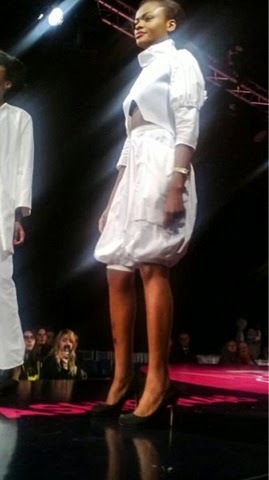 The first was by the design and textiles students from the university, who showed an amazing, all-white collection of conceptual designs. 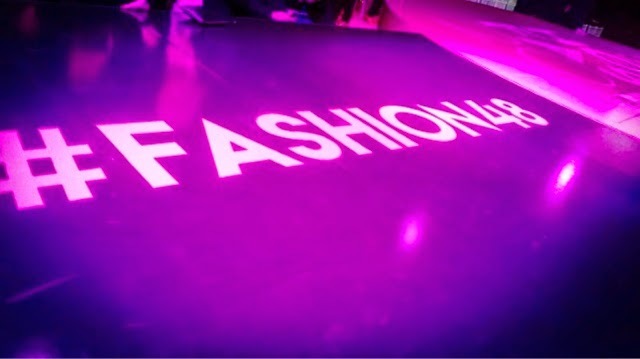 The second was a show featuring clothes from retailers in the city. 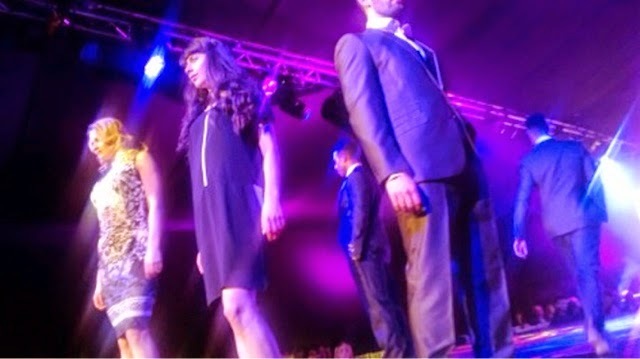 One thing I didn't know - apparently to be a model, you also have to be a top-class dancer! They were so energetic. I loved seeing it all come to life and getting some ideas for the new season. Coach Trip! It’s a little cheesy, but I love this series – its just so silly and so British! I don’t know where on earth they find the contestants, but I always get drawn in. I’m also watching Better Call Saul on Netflix but I’m a little disappointed with it as its far too slow-moving. I was a massive fan of Breaking Bad so the bar was always set very high. We’ve also started on Poldark on Sunday nights, but I keep falling asleep before the end of the episode! I’m enjoying looking at the beautiful Cornish scenery though – its making me want to go and visit my Mum down there. 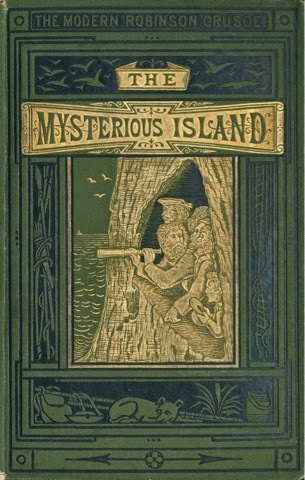 The Mysterious Island by Jules Verne. A bit of a classic! Its basically the original ‘Lost’ – a group of castaways escape in a balloon and get marooned on an island that isn’t all it seems at first. I’m enjoying it but making quite slow progress with it – my evenings disappear in a flash now I’m sleeping so much. Sometimes I wake up at 4.30 though, so I’ve been making the most of that to fit in a chapter or two. 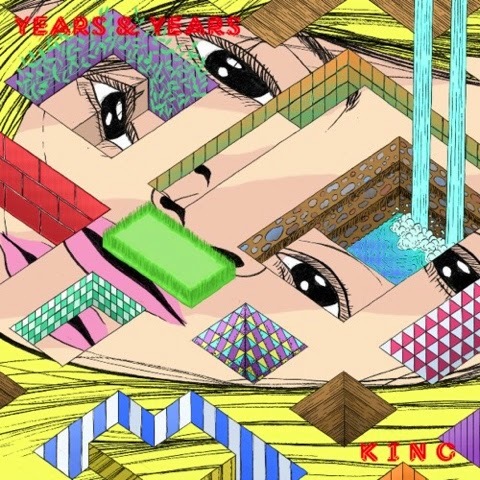 In love with ‘Years and Years’ at the moment and can’t wait for their album to come out. The single ‘King’ got to number one recently, which is great news, glad to see them doing well. My favourite song has to be ‘Real’ though, its got such a good tune. Can’t stop singing along to them in the shower! And like a lot of people, I’m also loving Hozier at the moment – what a stunning voice that guy’s got. 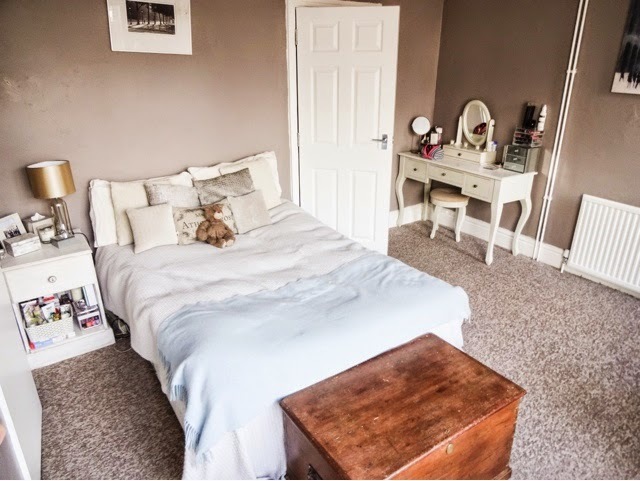 LOVE the little cameo from the kitty in one of your bedroom photos! What a gorgeous thing she is!